While I get to drive a wide range of vehicles, I’ve got to admit, the seven-passenger land yachts are rarely among my favorites. But the new Audi Q7 TDI is a big exception to that. This wonderful beast delivers a unique combination of fuel efficiency, range, driveability, luxury, and towing capacity, along with some of the best in-cabin technology on the market today. If you’ve spent much time on MPGomatic.com, watched a bunch of my review videos on YouTube, or follow me on Twitter, you might already know that I dig clean diesel technology and the potential it holds for America. So when I was invited to take the clean diesel Q7 TDI on a road trip to see how many miles I could squeak out of the 26.4 gallon fuel tank, I jumped at the chance. While the 2009 Q7 TDI is officially rated at 17 city / 25 highway miles per gallon (MPG), I knew it was capable of significantly better mileage when driven conscientiously. The first leg of the effort on the Interstate proved that out, as I scored 28.3 MPG with the cruise control on (set at our standard 68 MPH) and 30.1 MPG (at speeds between 60 and 72 MPH) with the cruise control off. With outside temperatures in the 80s, the air conditioning ran for the entire day. By the time the Q7 TDI rolled back into the driveway late that afternoon, I had travelled just under 200 miles on just over seven gallons of fuel. These are impressive numbers for a seven-passenger vehicle, all the more so when you consider the amount of power and towing capacity. With the Q7 TDI, fuel economy is just the start. The second leg of our test was largely spent on local roads, both in-town and out in the country. Once again, the Q7 TDI’s mileage results were exemplary for its size and weight, with 45 MPH back road cruising delivering mileage well into the thirties. Our goal for the tank was 600 miles of combined driving. If we had planned out a route that consisted exclusively of backroads and Interstate driving, we could have exceeded that distance handily. As it turned out, we fell a just a bit short of our goal. Blame it on the route and the rush that the Q7 TDI delivers when you mash the pedal. That blast of locomotive-like power is remarkably smooth and all too addictive. Despite what the naysayers might think, the availability of diesel fuel was not a problem whatsoever around these parts, whatsoever. When it came time to finally fill up, we rolled past a raft of stations, looking for the least expensive price per gallon. 6 of 7 stations had diesel fuel, although there was a wide variation in pricing. For the most part, the cost of diesel fuel hovered around the cost of unleaded regular gasoline. After traveling 588.4 miles, we pulled into a Quik Check with five miles worth of fuel left in our tank. 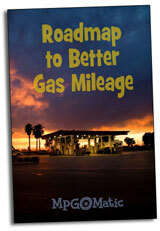 If we had the chance for a do-over with a tightly planned route, 750 miles on one tank would be well within reason. I’d go for a Diesel vehicle any day. For anything weighing in at over 3,000 lbs, a Diesel engine, particularly a 3 litre turbo diesel engine should be required. Why more Americans don’t like diesel is beyond me. Sure it’s a little noisy, but if built right, can be just as reliable, if not more so than a comparably sized gasoline powered car or truck, plus with clean diesel technology and if you choose to use biodiesel, it can be cleaner than one normally thinks of diesel as being. Did you have trouble with finding a deisel pump that would correctly fit into the filler neck? @surt – Never had a problem with that. Love our 2010 Q7 TDI – amazing that the mileage seems to get better as the engine breaks in. Only thing with 7 seats and better fuel mileage is a hybrid Highlander. I (now) drive an 06 Durango and I’m lucky to get 18 mpg with conservative hwy driving. I saw an 11 Audi Q7 this weekend and it looked similar to mine in its general shape – so utility is similar, but, getting 10 mpg more than me and sportier driving too? – see you at the Audi dealership. Jason, canola oil is SVO (straight vegetable oil) diesel fuel and delivers far more energy per gallon than the other ‘bio-diesels’. No processing needed other than pressing oil out of the oilseed (Canadian Oilseed Low Acid = CANOLA). It is a weed, that gives us diesel fuel, same as the other weeds that give us medicines that could replace pharmaceuticals – americans don’t like that kind of stuff? – which americans?